Getting excited about science is a whole lot easier than it used to be. 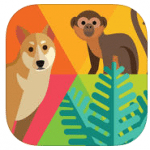 Now, instead of laboring over a text-heavy book, students and parents can use interactive apps to learn science in a fun and educational way. 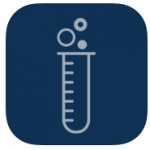 Here’s our list of the very best iPad apps for teaching kids about science. 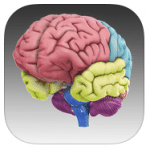 Rotate and zoom around 29 interactive structures of the human brain with 3D Brain, a thrilling interactive app that displays how each brain region functions, what happens to the brain after injury and how mental illness can impact brain function. All information is based on current case studies and often modern research studies are cited and linked to within the app. What do grass and an ants have in common? How do dolphins and goldfish differ? Learn all this and more with Classify It, a 30 level educational game that challenges those of all ages and skill levels to learn as you earn rewards. 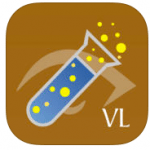 Become a virtual chemist with the freebie goREACT app. Whether you’re a young beginner or an old pro, you’ll be guided through models that let you mix and match elements in a safe environment. Finally, you can blow something up without having to clean it up! Apple was so impressed by this app that they featured it during one of their iPad presentations. 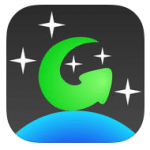 GoSkyWatch Planetarium is your key to the night sky. Take this telescope app outside, point it at the stars, and it will tell you which constellation has captured your attention. Aim your iPad’s camera at a planet and the app will speak the planet’s name aloud, plus recite a series of facts and statistics. 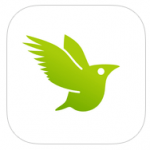 Snap pictures and video of plants, wildlife and other things you see outside and learn about your surrounds with the intuitive iNaturalist app. All images can be shared with an online community where you can connect with others who enjoy the great outdoors and want to learn more about nature. 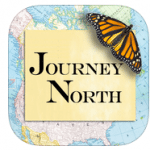 Become a data scientist by tracking and reporting seasonal changes with the free Journey North app. This citizen science project is fueled by other students who also report their findings. With Journey North you can track wildlife migration, identify flowers by appearance, track butterfly and bird sightings, and so much more. 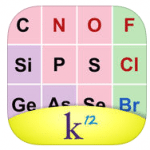 Learn the periodic table elements in a fun, colorful way with the free K12 Periodic Tale of the Elements. Click on any element to read more about its classification, melting and boiling points, electronegativity and so on. This periodic table includes all the newest named elements and is kept up-to-date. 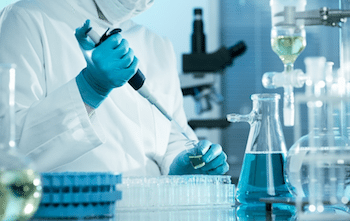 Science Glossary is a free glossary of scientific terms. In addition to learning new words, you can read short biographies about scientists and articles relating to new discoveries. Science Glossary is geared toward high school and undergraduate students.